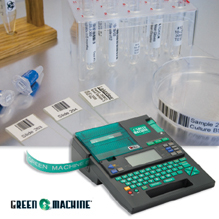 Best practices for labeling in the shop, office, plant, lab, classroom and home. Sept. 7, 2011 - PRLog -- K-Sun Corporation, a leader in professional labeling solutions, has outlined some best practices that can apply to all labeling projects in the lab, office, plant, job site, warehouse, classroom, garage, shop, or home. Labeling is more professional looking than handwriting and helps you stay organized in the workplace, office and home--saving time and money. 1. Use the Labeler for Inspiration in Organizing at Work, Home. Sometimes it’s simply about getting the tool to get inspired (99% inspiration; 1% perspiration!). For inspiration to take hold, start with a small project, like a few files at your desk, a portion of the tool crib in the plant, a few shelves in the lunchroom, or a storage area in the garage. You’ll find that labeling jumpstarts your organization projects. 3. Go Professional. Your job will look more professional with a consistent design and distinctive look (think branding)—font style, type size, tape color, tape width, borders and graphics. If you choose not to save the design to memory (see No. 5), then make a project template label for your files with the design variables so you can quickly recreate more labels when you need them. 4. Preview Your Label Before Printing. This simple step can save you time and money. By simply selecting Preview on your K-Sun label printer before you hit Print, you can review your label, check spelling, and see how it will appear on the tape width. 5. Save Designs that You Will Use Again. Save the label to the printer’s memory if you’ve spent considerable time on design or if you will use the design again. It’s a snap to recall the design, edit text and print additional labels using the basic design you’ve saved. Depending on the model, K-Sun label printers can store from 4 to 99 label files and up to 5,000 characters in memory. 6. Make an Extra Label or Use Recall Print History. You might discover during application that you have a need for an extra label for an additional surface, piece of equipment, cable or storage area. For example, you can label the tab of a file folder plus the top of the folder, so files can be identified no matter how they are stacked. If you discover you need another, select Shift + Recall and scroll using arrow keys to select Print History. Select Recall and use arrow keys to find the label you need; then chose Return. 7. Use Font and Text Sizes for Optimum Readability. Bad handwriting, age-related eyesight changes, lighting conditions—these variables and more affect readability. Avoid mistakes made from illegible handwriting or time wasted due to poor readability by using clear, bold fonts and adequate text sizes for optimum readability. The K-Sun Green Machine’s® hot keys for font and size selection make changing font/size a snap. 8. Use Color and/or Symbols for Better Visual Communication, Safety & Electrical Code Compliance. Colored labels communicate more effectively, such as using color-coded labels or heat-shrink tubes for electrical codes or ANSI codes. Think about contrast for visual communication and safety (ie., an orange label on a black wire in a closet or a red label on a pipe that can be warm to the touch). K-Sun LABELShop® color labels are the same price as black-on-white or clear labels. K-Sun label printers also have more than 1,000 symbols built into memory, including European/Latin American/Greek letters plus abbreviations, arrows, parenthetical marks and more. K-Sun MaxiLabel® Pro labeling software also includes hundreds of safety, electrical, environment, signage, construction, medical, food and seasonal symbols plus medical/laboratory, homeland security and electrical add-on libraries. 9. Save a Label. Save the need to make a replacement label by using the exclusive, patented PeelGuard® trimmer on K-Sun printers to round label corners on demand. Labels peel when a square corner has been caught. To prevent peel, most K-Sun printers have the elite Peelguard® feature. Simply place your label in the trimmer on the side of the label printer. This optional finishing feature makes labels more permanent and durable and saves you tape, time and money. 10. Recycle Your Label Cartridges. K-Sun LABELShop® cartridges are made from 50 percent recycled plastic and are recyclable! Simply ask your K-Sun distributor or contact http://www.ksun.com for a postage-paid recycling envelope that holds three cartridges. It’s a simple way to go green and one more reason K-Sun is the preferred labeling solution for the plant, warehouse, lab, classroom, office, home, garage, shop and the planet! For information about the K-Sun Green Machine® contact Linda Law at 800-622-6312 ext. 214 or visit www.ksun.com.